However they turned out great and they fit nice too, I will be giving my very belated birthday gift to my friend in early September so I am excited to see how she likes them! 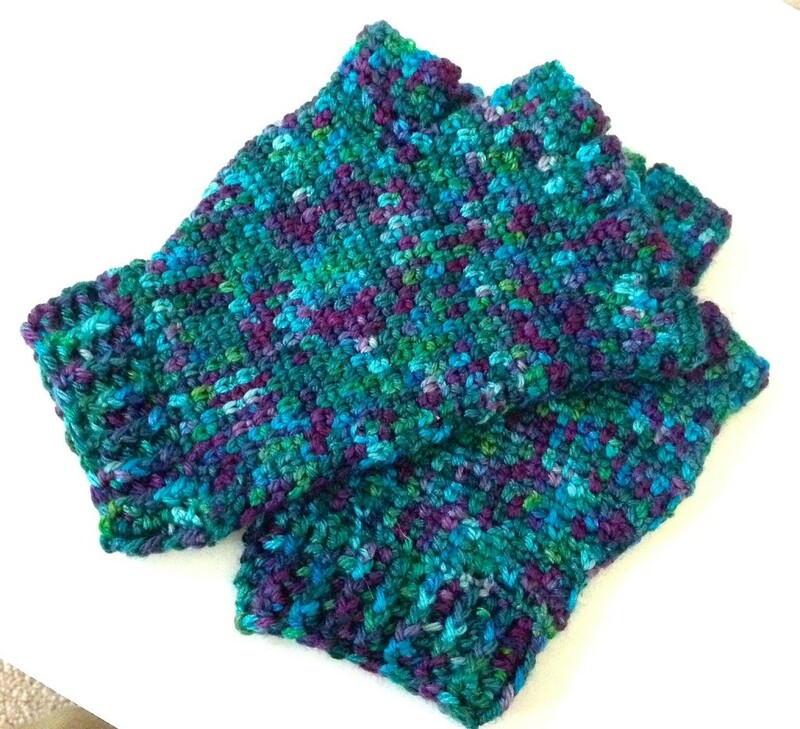 Another friend, who I will also be seeing in early September, originally wanted me to make her a hat, but she saw the gloves I made above and wanted pair of gloves instead. So I knew I wanted to do a different pattern because I wanted to use a slightly thicker yarn because of the colorway I had that I knew she would like. 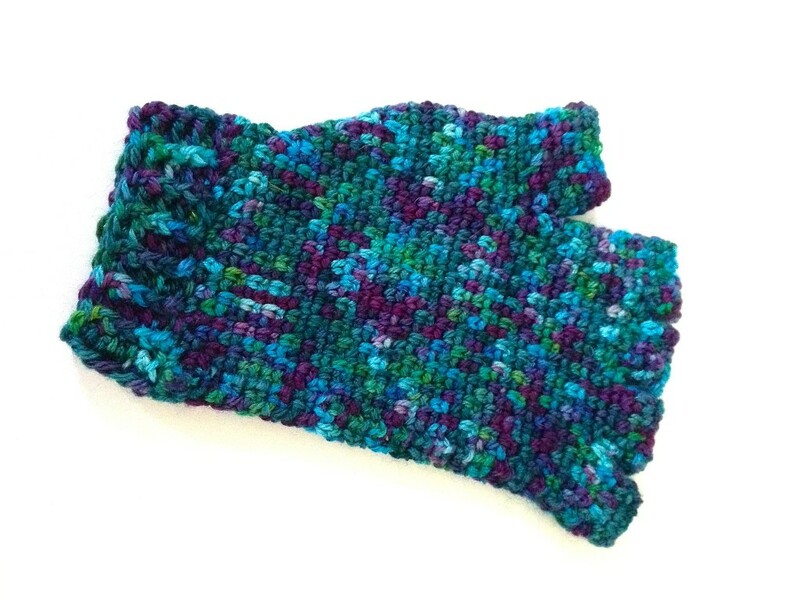 I did some Ravelry & Pinterest surfing last week and originally though that this tunisian pattern would work called Snuggly Mitts and while I liked the end result in the tutorial, the yarn I had was just too think and wasn’t fitting right, so after completing 1 of them I frogged it and started looking again. 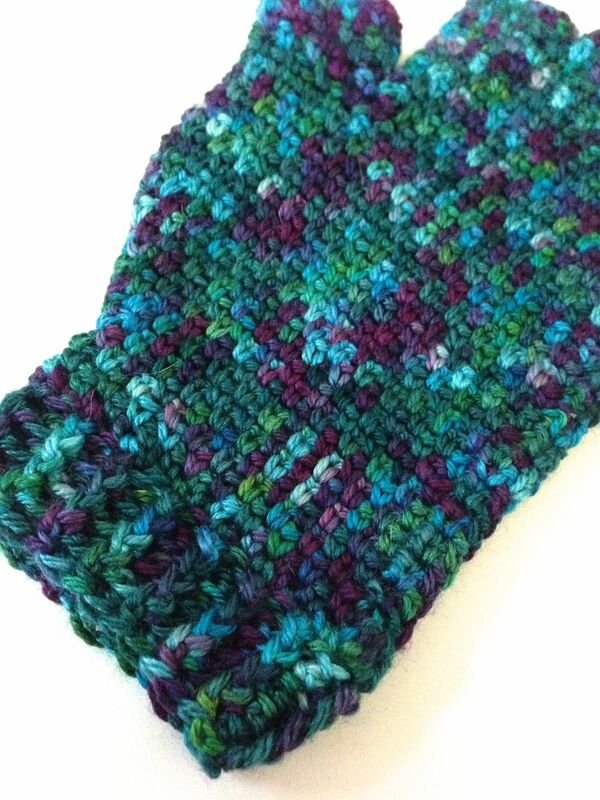 I will return to that pattern once I pick out some thinner yarn. 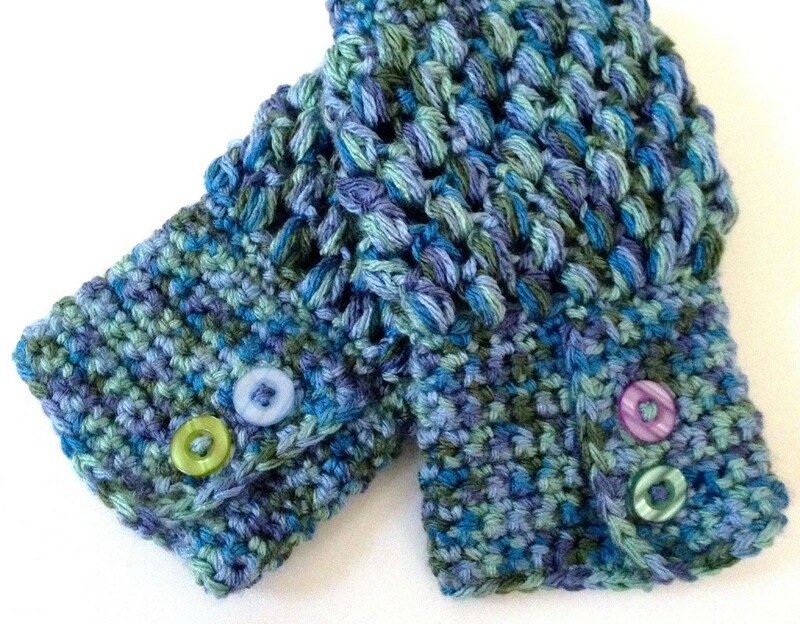 I ended up choosing a puff stitch pattern that had a cuff with buttons. Having just picked up some of the small plastic buttons I used this made for a great pattern to use a few. 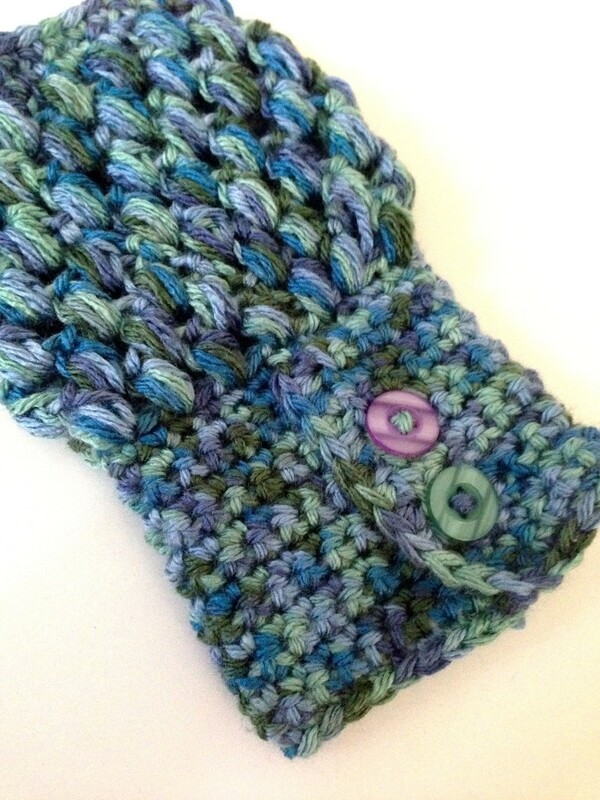 The pattern is super easy to follow but I do recommend learning the stitches prior, some of the rows are explained very generally but the site does provide links and other helpful stitch tutorials to follow too. I did a round of sc on the edges of the cuff part to make it look more complete and only did a chain 1 for the buttons since they are a bit smaller than the original pattern. I started with a foundation chain of 31 for the cuff, and I ended up with 14 puff stitches on each row and ended with 2 x rows of 28 sc around the top. I like them so much and I completed this pair in a fraction of the time that it took me to complete the pair above, which was great! Which means I may try to do a pair for myself soon. 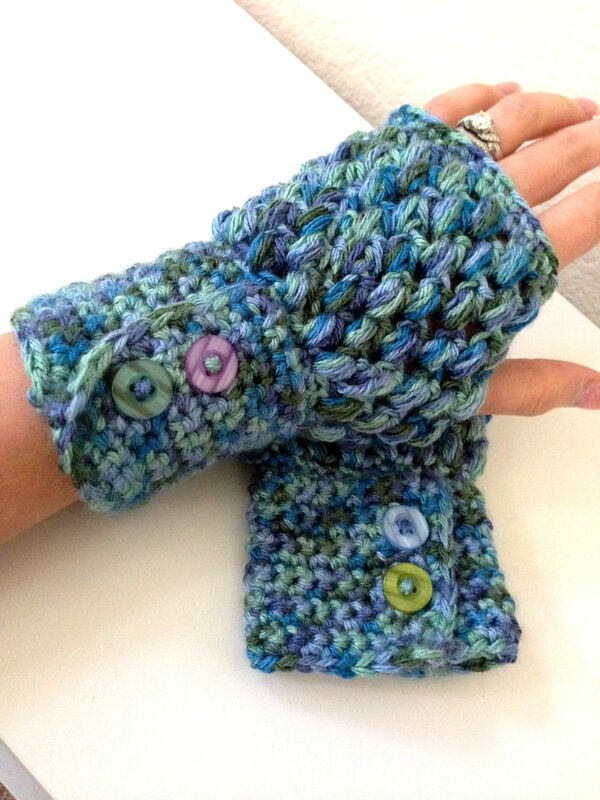 They also are a bit more forgiving to different weights of yarn so a great stash buster project as well, would be cool with stripes of color on the cuff and a solid for the puffs….and now I have another pair to make! I hope she likes them, super excited to give them soon. Thanks for stopping by! 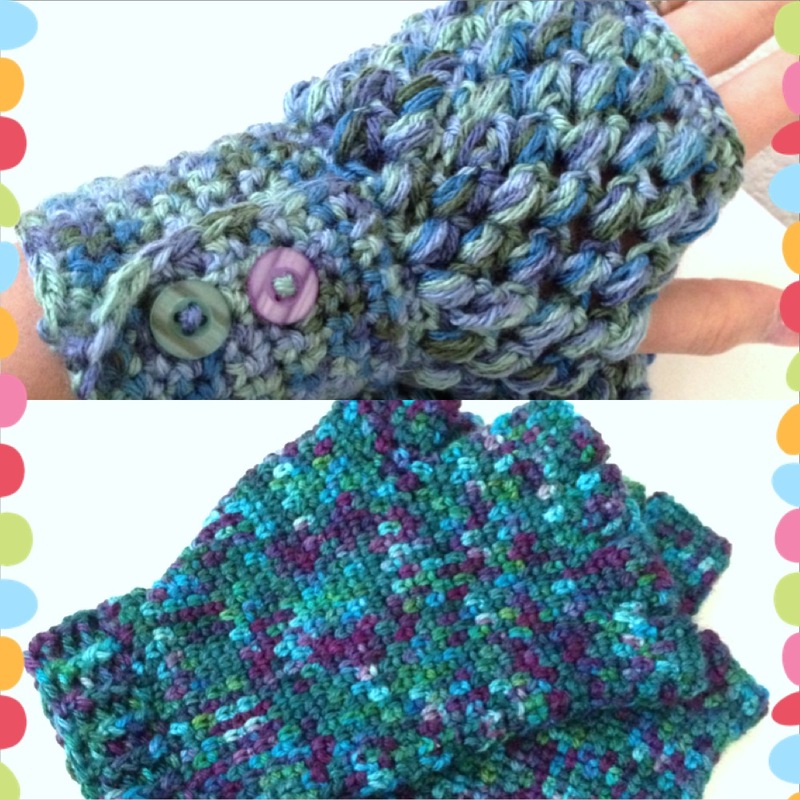 This entry was posted in General News, New Project, Patterns and tagged buttons, fingerless gloves, fingerless mitts, gloves, great adirondack yarn, stash buster by ionyka. Bookmark the permalink. Thanks Amy! I need to try one of those bag patterns you have been doing soon, they look super cute!